Historically, divorces were about children and money. In 2019, however, people are fighting about way more than just those two things. 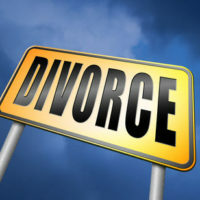 With technology expanding rapidly and the nature of marriage taking on a totally different meaning in some cases, divorces are simply getting more complicated. Call the Maryland divorce attorney at The Law Offices of Todd K. Mohink, P.A. today if you need help resolving a family law dispute. Here are five unusual disputes we are seeing in modern divorces. That’s right, a 2014 report by the American Academy of Matrimonial Lawyers (AAML) revealed that about 27% of those responding to the survey had noticed a dramatic increase in pet custody disputes. Some states have begun enacting legislation to deal with the problem, such as Alaska and California. Eventually, it’s likely all states will shift how pets are dealt with in divorces. In Maryland, pets are still treated as property for the purposes of court orders. Nevertheless, it is possible to reach an agreement as to visitation and sharing responsibilities. People put their lives on social media. When a couple shares a “joint” social media account, there may be tens of thousands of stories, photos, videos, and memories contained in the account. While deleting the account and setting up two separate ones may always be an option, it can be difficult to figure out how to preserve the memories, while separating the accounts. Now, before you discount this, consider a quick example. Say two people are in an “open marriage,” meaning they still engage in intimate relationships outside the marriage. Many people in these relationships end up “sharing” a lover who becomes a third-party to the marriage. This surrogate or third-party can become part of the family in some cases. While it may seem odd to those in traditional relationships, this can add a whole new layer to a divorce, because while the married couple may not wish to remain together, they may both have strong feelings for the other third individual in the relationship. John is a lifelong Ravens fan, but his soon-to-be ex-wife likes the Braves. Which team will the children be exposed to, and who will they be raised to love? Sound silly? Tell that to the thousands of people who get into disputes with their ex each year over introducing sports to children. Sports can be a big part of people’s lives, and for families in some towns, loyalty to a team runs deep. Just as a couple may negotiate over religious indoctrination, so too can loyalty to a sports team be a source of contention. Finally, like everything else in modern times, politics is another source of dispute in divorces. People are getting divorced over political disagreements at an alarming rate. According to a 2017 research study, roughly 29% of Americans in relationships claimed that the current political climate was creating a problem for their marriage. That’s nearly a third of all relationships polled by the study. If you are facing a divorce, call The Law Offices of Todd K. Mohink, P.A. in Maryland today to get help from start to finish.